Over the past couple of months I've been working on a series of articles, and publishing them on my blog Different kinds of normal. 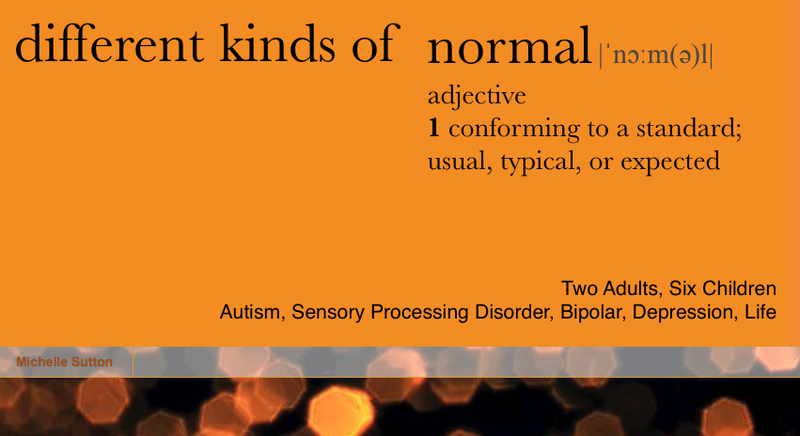 Since I began blogging 3 years ago I have learned a lot about Autism, accepting Autism as a natural variation of human genetics, and the Neurodiversity Movement in general. I have come to the belief that the way the majority of society thinks and talks about Autism is actually harmful to Autistic people in many ways. This negative dialogue is veiled by a stated intent to help, but focusses so heavily on portraying Autism as a burdensome tragedy, and on pitying parents of Autistic people, that it is increasingly difficult to believe it is not intentionally perpetuated by some people who stand to make money from parents fear of Autism and desire to eradicate it. The series I have written is called "Autism is not an illness" and each part of it addresses a different way that looking at Autism as inherently bad serves to harm Autistic people. You can read the series by clicking on the links below.